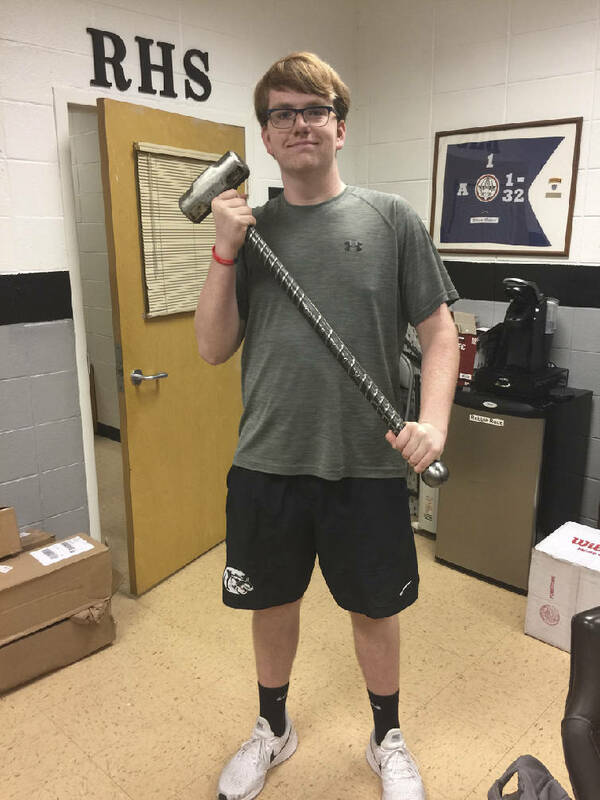 John Klein, of Ridgeland High School, shows off a custom-made sledgehammer donated for a Special Olympics fundraiser. Ridgeland High School senior John Klein is an 18-year-old lineman on the school's football team. For a senior project, Klein decided to create a power-lifting competition for area Special Olympians — but he barely knew where to start. Nobody doubted that his heart was in the right place. Klein likes serving as a "hugger" at Special Olympics events, he said, and he often sits with special-needs kids at lunch at Ridgeland. "I've always had a love of people with a disability — and trying to provide opportunities for them that they don't always have," Klein said. Ridgeland requires all students to complete a senior project as a major part of their English grade. But compared to most senior projects at the North Georgia high school, Klein's plan would require higher-level project- management skills. He set Nov. 17 as the date for a power-lifting meet and fundraiser at the Core One Fitness gym in Fort Oglethorpe — where he works out — and he began looking for sponsors and mainstream competitors. Early on, there were times when Klein thought he might have bitten off too much. 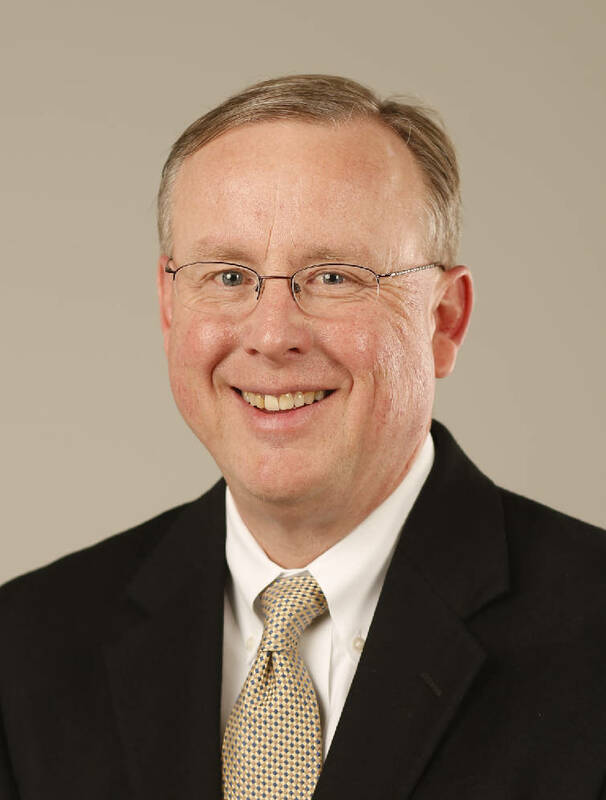 "We got about two months [into planning], and I thought, 'I'm going to have to cancel and send this [donated] stuff back and change my project,'" Klein said. But if being a football player teaches you anything, it's that giving up in the face of adversity is not an option. The area has never had a Special Olympics power-lifting event, even though it is an official U.S.A. Special Olympics sport, according to Beth Webb, a Chattanooga-area Special Olympics official and special education teacher with Walker County Schools. Webb said Klein's work gathering equipment donations and organizing the unofficial fundraiser later this month will provide resources to kickstart a separate Special Olympics powerlifting competition here next spring. Shortly after school started this year, Klein quietly went about attracting sponsors and donations for a raffle that will be the spotlight of this month's powerlifting competition at Core One Fitness. He set up an Instagram page and watched as weightlifting equipment companies across American got onboard to help. Klein's audacious ideas impressed adults. Soon, lifters from around the South began lining up behind his plan. Among the items donated for Klein's Special Olympics raffle was a handmade sledgehammer made by Acme Sledgeworks in California. Another company donated a custom war mace (or club) with the Special Olympics logo. So far, more than 50 companies total have stepped up to help. Klein also recruited BMW of Chattanooga to sign on as a primary corporate sponsor of the event. Klein is so determined to create a legacy that he is trying to attend a college nearby so he can make the Special Olympics powerlifting meet an annual event. "A lot of people doubted me for running this," he says. "I'm only 18 and I'm running a powerlifting meet. It's sort of a tedious thing to do." Tedious, yes, but also terrific.